This Australia-made flick is not a big budget affair, but the moviemakers pulled every ounce of visual impact and action style from their resources. In a city where souls are trapped in a miserable life of purgatory, this mid-world belongs to the powers of darkness as Sammael runs the show. Across time seven Archangels have been burdened with the fight to maintain the balance. In this timeframe it is fought with guns. 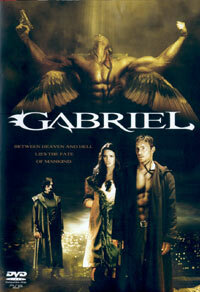 The angel Michael disappeared and Gabriel is sent to set things straight, as he comes up against Sammael and his minions. With a cast of unknowns, Gabriel is not a bad effort at all and has a more individual style than most post-Matrix action movies. Bonus features include a featurette and deleted scenes.